With miles of stunning unspoiled coastline north and south of our bay, you can walk as far as you like and are unlikely to come across another soul. There are some beautiful ocean and sunset viewpoints atop some of the world’s highest coastal dunes. You are not limited to just strolling on the beach! We are situated in a coastal forest and there are stunning walks where one can explore the inland areas of Anvil Bay, Ponta Chemucane. 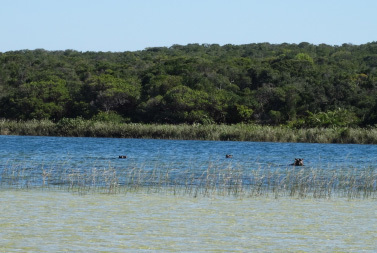 Whether you are a keen birder who would like to spot an elusive feathered friend or you just want to take a relaxing stroll to the nearby lake and view the resident Hippos there are plenty of options for you. If you prefer you can explore by yourself, just ask for directions, or a guide can accompany you to show you the route. 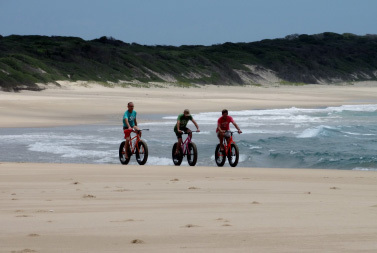 Beach bikes are available for guests to explore the untouched coastal wilderness of Anvil Bay’s coastline. Riding on the beach is best done around low tide when the going is a bit easier. A selection of kayaks includes 2 adult kayaks, 2 double kayaks and 2 children’s kayaks along with paddles and lifejackets to keep you safe. Double Kayaks can also be configured for angling so if you are eager to try your hand at a spot of ocean fishing let us know and we will set them up for you. Subject to sea conditions. Try out the exciting and challenging activity of Stand Up Paddle Boarding! We have a beginner friendly SUP for starting out on. These big surfboard style craft are designed to be paddled standing up but can be just as much fun when used in a kneeling position. Be prepared to spend some time learning, falling off and having fun! Subject to sea conditions. Discover the world below the surface of the sparkling Indian Ocean by taking a snorkeling trip with us. 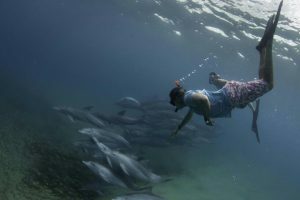 We will provide you with all equipment and an introduction to snorkeling techniques. 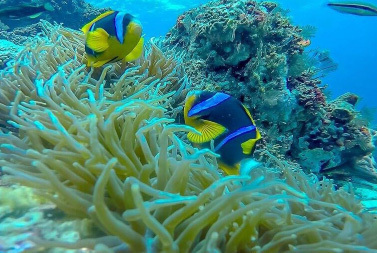 We travel a short distance by boat to one of our exclusive coral reef snorkeling sites where you will be able to spend time observing the diverse marine life found at Anvil Bay. Participants must be able to swim. Subject to sea conditions. 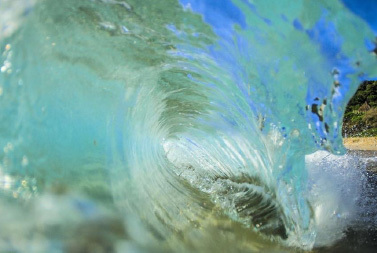 A fun and easy activity for all ages, all the thrills of surfing with much less effort! Grab a board from the activity centre and head down to the shoreline to catch some waves. Speak to the activity team about the safest place along the beach to get on the water. Subject to sea conditions. Participants must be able to swim. Go on a safari experience with a difference! 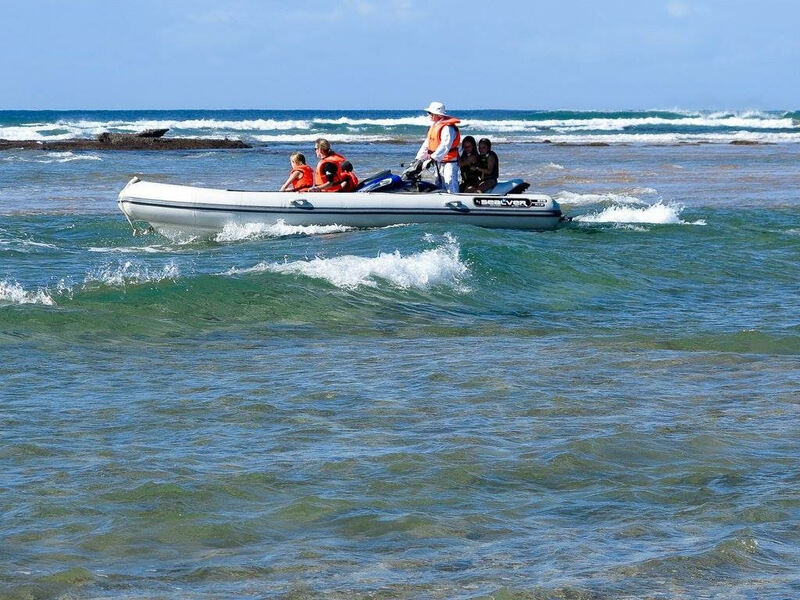 Set sail on one of Anvil Bay’s purpose designed boats for a 2 hour leisurely cruise along the coastline in search of marine animals big and small. Dolphins are frequent visitors to our shores, as are turtles and the occasional Whale shark & Manta Ray. Depending on the circumstances and the behavior of the animal it may also be possible to enter the water and interact with some of these magnificent creatures. In season humpback whales can also be encountered up close and personal during their annual migration. Subject to sea conditions. Participants must be able to swim. 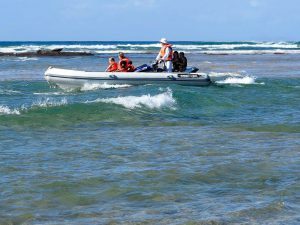 From July to November every year the Southern Hemisphere Humpback Whales make their annual migration along the Mozambican coastline on their way to and from their winter breeding grounds. Keep an eye out for the telltale blow as they surface to breathe, or perhaps you will be lucky enough to witness them breaching, lob tailing or pec rolling. The whales can be easily sighted direct from shore but if you would like to get a closer look then join us for an Ocean safari in season. 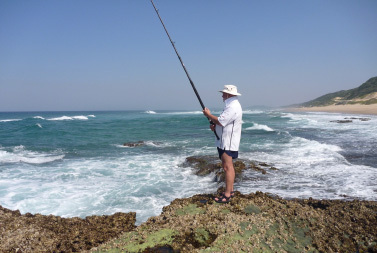 Enjoy the exciting experience of angling on the Mozambican coastline. For those new to the sport we can provide a basic introduction, equipment and someone to guide you to the best spots. If you’re familiar with the techniques grab a rod and explore the options. Species typically caught from shore include three spot pompano, stumpnose, shad, bonefish, and trevally. Catch and release encouraged. 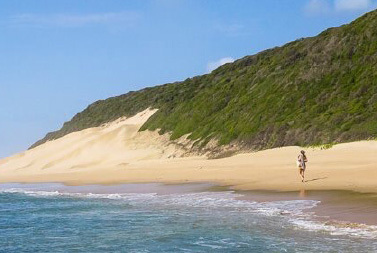 The Indian Ocean off the coast of Anvil Bay, Ponta Chemucane offers some of the best sport and game fishing in the world. Species such as black, blue and striped marlin, sailfish, wahoo, dorado, various tuna species, king and queen mackerel, kingfish and barracuda are all found here. We offer half day guided fishing charters from our unique jet powered wave boat. All fishing activities are conducted in line with international conservation guidelines. 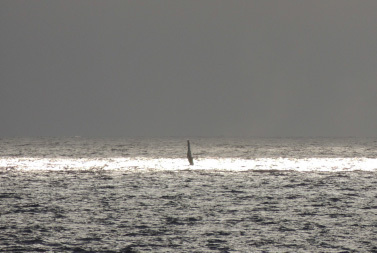 Subject to sea conditions. Collect some reef walker shoes from the activity centre and explore the tidal rock pools along the shoreline at low tide. 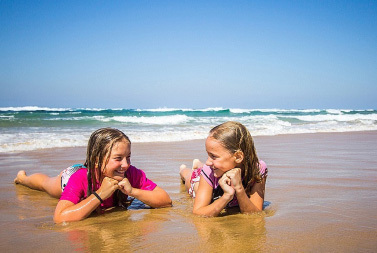 A fun activity for all ages, our marine guides will show you where the best pools can be found. A selection of beach toys and games are available in our treasure chest at the beach lounge. Burn off some cals with a quick kick about, a spot of Frisbee, a game of volleyball or some touch rugby. 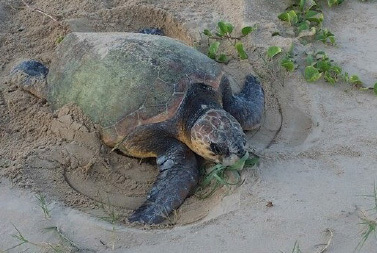 From late October to late January each year we are exceptionally privileged to witness the nesting of both Loggerhead and Leatherback turtles. The emergence of the hatchlings occurs from December through to late March. Anvil Bay participates in the turtle monitoring program and guests can take a guided turtle tour where with luck you’ll be able to view turtles laying their eggs.